Dennis Bishop is Licensed Real Estate Agent, Licensed General Contractor Licensed, and a Private Investigator Forensic Expert Witness NACHI Certified Home Inspector With a long and distinguished career as a Licensed Real Estate Agent, General Contractor, and Inspector, Dennis Bishop is a leader in local real estate markets and the construction industry. The ability to see the market from all sides of the industry allows Dennis to ensure his clients are properly represented in their real estate transactions, and that their commercial and residential properties are built and maintained according to state and federal codes. Prior to beginning his career, Dennis received an Associate of Arts degree in Construction Technology from Orange Coast College, and later participated in the Construction Management program at Long Beach State. Immediately after completing school, Dennis worked for the Irvine Company as an estimator until beginning his 28-year tenure with the California State Contractors Licensing Board. In 2006, Dennis founded South County Property Inspections to help his clients maintain their commercial and residential buildings. Since then, Dennis has also received his Real Estate License, and now assists buyers and sellers by ensuring their homes are both aesthetically pleasing and structurally sound. In addition, Dennis teaches Construction Technology at several Community Colleges in Orange County, and in 2007 joined the Adjunct Faculty staff at the Orange County Sheriff”s Department. He also runs lectures and workshops for members of the building trades and other complementary businesses. With his extensive training, experience and expertise, Dennis Bishop is a leader in the real estate and building trades industries. He works with buyers, sellers, his community, and the state to ensure that his clients are properly represented and supported. He believes everyone should have the home of their dreams; that it is safe, and if work ever needs to be done, it is done by a licensed contractor to safeguard and protect both buyers and sellers. 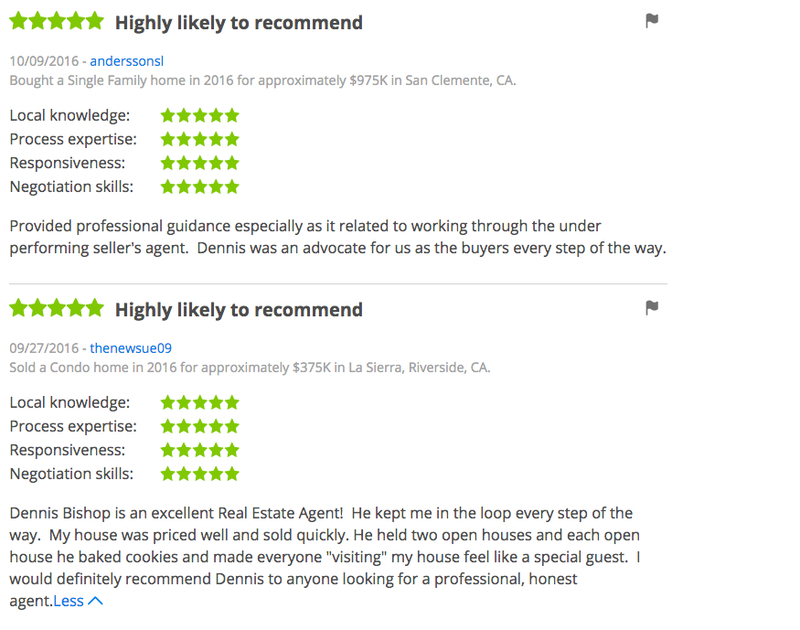 Dennis Bishop – Connecting you with the home of your Dreams!